If you’ve ever heard Tony G’s big mouth, you can be pretty sure that he has a blog and its going to be entertaining. Tony G has been around in the poker community for years now, he usually has his fingers in some kind of digital media pie so you won’t be surprised to know that he has been blogging since November 2004. Tony G’s blog is updated about every fortnight. Does he use an assistant? Yes, but only when his schedule is so busy he literally hasn’t the time to update himself and its always made obvious if someone else has written it about him. 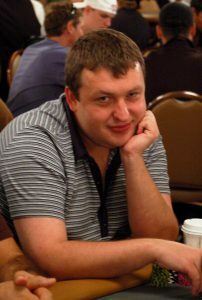 This bad boy of poker as Tony G is often called is often running his mouth at the poker table and is not afraid to say what is on his mind, so it should come as no surprise that that is exactly what you will find in his blogs. Having said that it seems that recently the bad boy of poker could be turning slowly into the good boy of poker, his recent blogs have included talking about charitable things he’s done as well as wishing lots of people in the poker business well. Tony’s blogs used to be mainly focused on poker but more and more he is giving us an insight into his private life with blogs about his family and how important his health is to him. Tony G has been battling his weight for quite some time now for health reasons, who knows maybe his future blogs will be motivational for other people in the same situation!. Tony G’s blogs are not all about Poker and his private life, he is also a very accomplished business man and has launched many online products to success. If you’d like to know what Tony G is getting up to or you want an insight into his poker life then you can check out his personal blog.